That moment has arrived. The Indiblogosphere has given its verdict and has chosen a new set of winners from over 150 worthy contenders across 16 varied categories. The final phase of Voting at the Indibloggies 2008 event had total 4876 votes cast over a span of two weeks. The figures may be small, but being recognized as a blogger extraordinaire by your own community is no small an achievement. 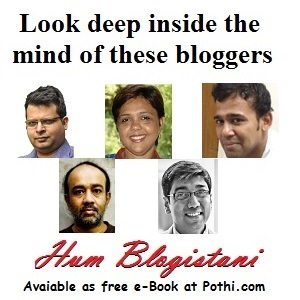 "Random Thoughts Of A Demented Mind" authored by Arnab Ray has won the top laurels of the "Indiblog of the Year 2008". His blog has won in this and the "Most Humorous Blog" category for the second consecutive time at the Indibloggies. Please join me in congratulating him and all the other winners on their triumph. With this win Arnab also makes it to the coveted "Indibloggies Hall of Fame". Congratulations! I thank all the participants, the Jurors and the Sponsors for their help and encouragement. Hearty congratulations to all the winners.